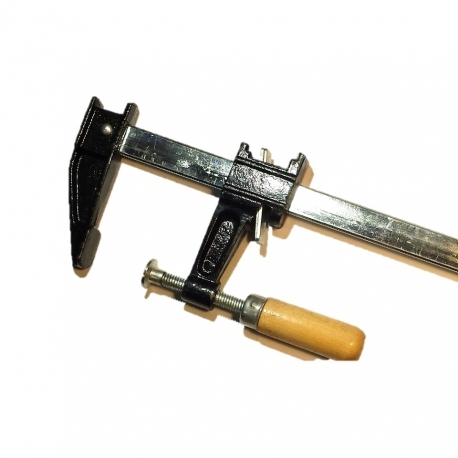 Before cutting or drilling any parts, it is important to ensure they're securely clamped down. 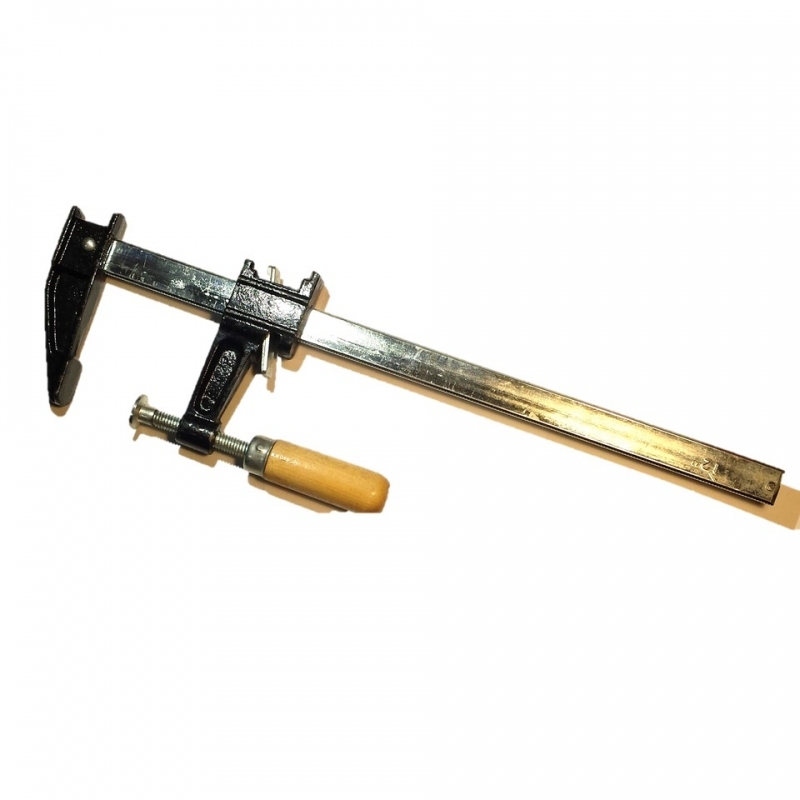 Use these 12" long bar clamps to fasten pieces to the work surface. Push the clamp into position with ratcheting bar mechanism, then tighten by turning the knob. To release, loosen the knob and press the quick release lever to slide down the bar. Cast steel alloy construction. Please note: Due to continuing product changes, this item may vary from the photo and have either a wood or plastic handle.